Sclerotherapy is the overall term used to describe the method when it is used for varicose veins of any type; the treatment of spider veins and small varicose veins is called micro-sclerotherapy. 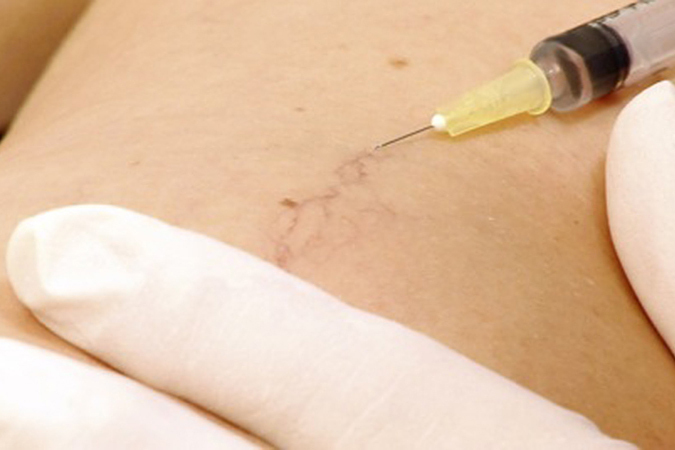 The prefix ‘micro-’ indicates that the small veins are treated with extremely fine needles. The aesthetic appearance is of prime importance in the treatment of spider veins. Micro-sclerotherapy is an outpatient procedure and can eliminate spider veins without the need for lasers, anaesthetics, and incisions. In micro-sclerotherapy, the doctor uses a very fine needle to inject a specially developed medicinal product, the sclerosant, directly into the spider veins and small varicose veins. Inside the diseased vein, the sclerosant reacts with the vein wall. Natural processes cause the walls to stick together, thus closing off the diseased vein. The body gradually converts this vein into a strand of connective tissue by a process known as sclerosis. 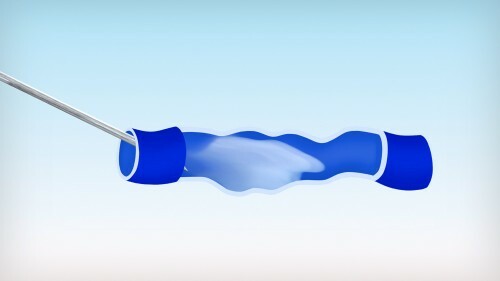 With time, the connective tissue strand is gradually broken down until it finally disappears. 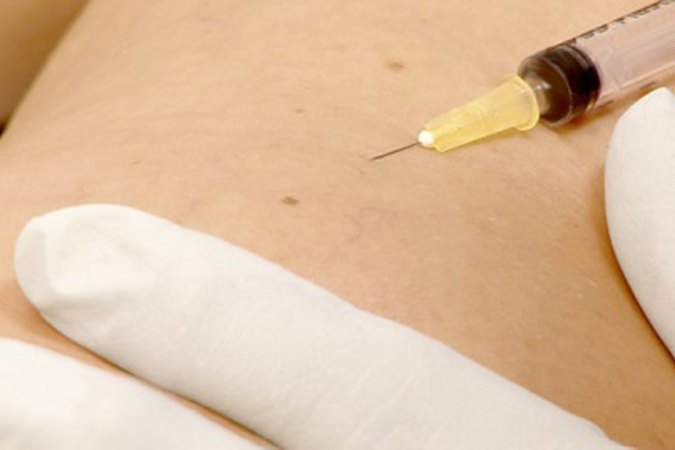 Micro-sclerotherapy is an effective and safe method of treatment. The well-known EASI study (Rabe, Phlebology 2010;25:124) confirmed the effectiveness and safety of sclerotherapy for spider veins and reticular varicose veins using polidocanol (lauromacrogol 400) as the sclerosant. Treatment was successful in 96% of the patients after just 3 months; that is to say, the spider veins had improved considerably or disappeared altogether. The current German guideline on sclerotherapy also mentions its efficacy: sclerotherapy for spider veins and reticular varicose veins achieves an improvement of more than 90%. Foam sclerotherapy involves the injection of special sclerosant foam into the spider veins instead of a liquid sclerosant. According to the European guidelines on the sclerotherapy of varicose veins, micro-sclerotherapy with liquid sclerosant is still the method of choice for treating spider veins and small varicose veins. However, these guidelines also list foam sclerotherapy as an alternative method for treating spider veins, with a similar rate of success and range of side effects. 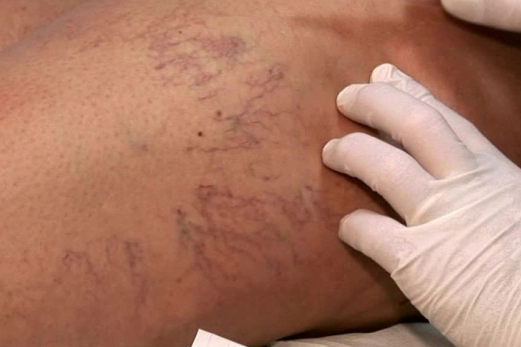 At the present time the authorities in Germany have not yet approved foam sclerotherapy for the treatment of spider veins, but only for large varicose veins. Foam sclerotherapy of spider veins can, in principle, be carried out at the doctor’s discretion, as off-label use within the context of therapeutic freedom.